Our very youngest violinists have a chance to develop their technique and musicality in a relaxed but stimulating setting. Players learn basic rhythms, open strings and fingerwork to a fun and challenging repertoire. 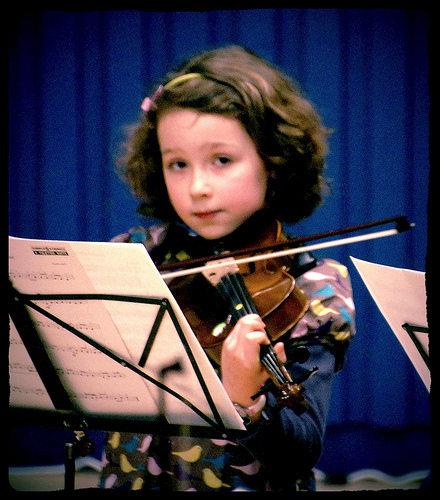 Confidence is built from the start with rhythm games, movement and innovative string teaching. Introducing playing in parts and concepts of ensemble work to our young players. Players gain much experience through a wide range of fun repertoire, learning about dynamics, technique and general performance as an ensemble. 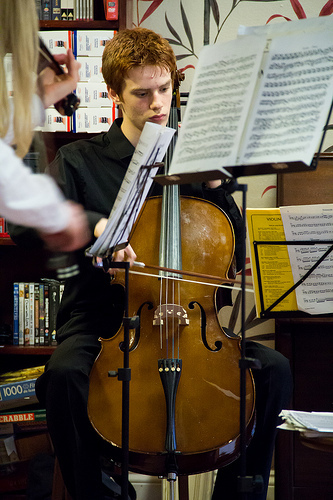 Extending the range of string ensemble playing. Playing in three and four parts. Easy parts available for less experienced players. Recent repertoire includes Harry Potter, Sound of Music, Christmas tunes from around the world and pieces by Handel and Lloyd-Webber. Challenging ensemble pieces for string orchestra. Progressing to advanced performance through developing technique. Recently enjoyed pieces include movements from Purcell’s Abdelazar and Bartok’s Hungarian Dances, Romances by Sibelius and Wagner, Concerto Grosso Op 6 No9 by Handel, Charterhouse Suite by Vaughan Williams, Concertino Pastorale by John Ireland, Overture To Faramondo by Handel, St Paul’s Suite by Holst, Serenade for Strings by Norman Fulton, Serenade for String Orchestra by Michael Short, Mozart’s Eine Kleine Nachtmusik, Janacek Suite for String Orchestra, Britten Simple Symphony, Bartok Rumanian Dances, Purcell’s Abdelazer Suite, Iain Kendal’s Music for Strings.